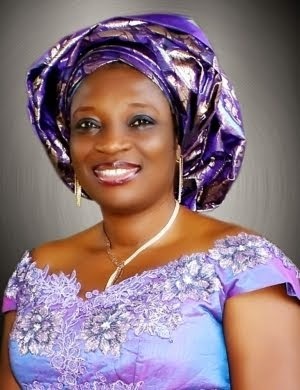 Home » Anambra State » News » Tragedy » AWKA ACCIDENT: Senator Uche Ekwunife condoles with deceased Family. AWKA ACCIDENT: Senator Uche Ekwunife condoles with deceased Family. Senator Uche Ekwunife, representing Anambra Central Senatorial Zone has condoled with Odenigwe family of Enugwu-Ukwu, the Spiritual Director of Holy Ghost Adoration Ministry (aka Ebube Muonso), Rev Fr. Emmmanuel Obimma and Anambra State Government over the death of Okey Odenigwe and some members of his family in an auto crash along Onitsha-Enugu expressway on Sunday. Senator Ekwunife in her condolence message described the incident that led to the death of Okey, his wife and one of his sons as tragic and a calamity for the entire family of Odenigwe and Anambra State Government. She called for special prayers for the repose of the deceased souls, adding that the sad news of the auto crash kept her awake all through the night as she meditated over the incident that almost wiped out entire family of six and called on Odenigwe family to bear the irreparable loss courage. "I received with shock the painful death of Okey Odenigwe, his wife and a son on Sunday along Agu Awka in a terrible auto crash. These deaths though avoidable call for special intervention on the state of federal roads across South East zone and Anambra in particular. I am more saddened over the death of these persons leaving behind very little and innocent children to suffer the pains of loss of parents"
"I therefore send my heartfelt condolences to Odenigwe family of Avo-Omimi, Enugwu-Ukwu and the Spiritual Director of Holy Ghost Adoration Ministry, Rev. Fr. Emmanuel Obimma whose Personal Assistant the deceased was before his death and the government of Anambra State. This is a very sad moment for all of us but we must accept in good faith this which we cannot change and do more to save our people from such careless deaths in future" she said. Senator Ekwunife however promised to make a legislation that would minimize deaths on Nigerian Highways when the 8th National Assembly reconvenes.